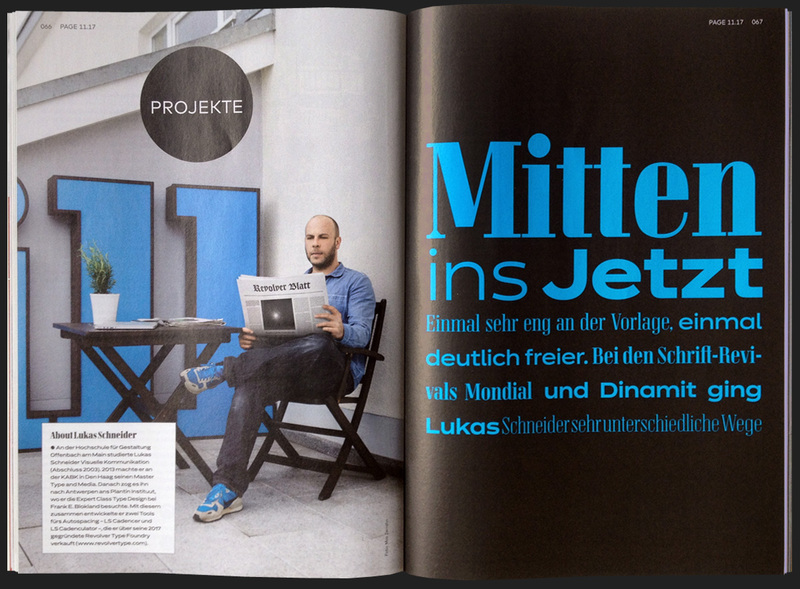 Revolver Type Foundry featured in PAGE magazine. In October 2017, the german design magazine PAGE published an article about the development of two of our typefaces, Dinamit and Mondial. The article explains the design process and gives detailed background information.